A prime component of electrical power is voltage. The AC line frequency is the heartbeat of the IoTaWatt. A reliable and accurate AC voltage reference is very important. You should have installed the device with a 9 Volt AC voltage reference transformer (VT) plugged into the channel zero power jack. If your initial configuration has this channel pre-configured, your LED will be glowing green because it’s rhythmically sampling that voltage. Various transformer models produce different voltages, and it’s important to insure that the VT specified matches the model that you have installed. To do this, select the inputs button in the Setup dropdown menu. A list of all of the inputs will be displayed. The first entry will be input 0 and a default VT should be configured. Check to see if it’s the same as your VT model. It’s OK to unplug the VT to check the model number printed on it. 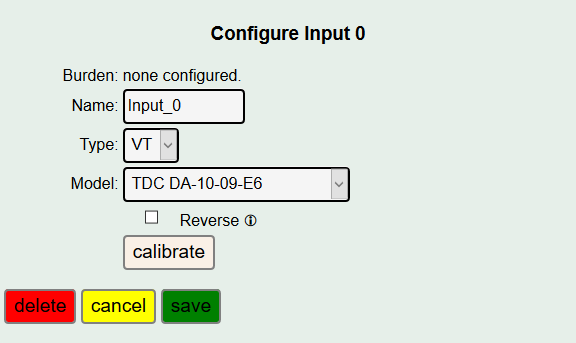 If your VT model doesn’t match the model that is configured, you can easily change it. Click on the input channel 0 button on the left. As you can see, the display changes to reveal the details of the input_0 configuration. If your VT wasn’t listed in the dropdown above, the generic entry is a reasonable starting point that will get you in the ball park for your 9-12Vac adapter. If your country is 230V or 240V select “generic240V”. Now you must perform the Voltage Calibration procedure below. 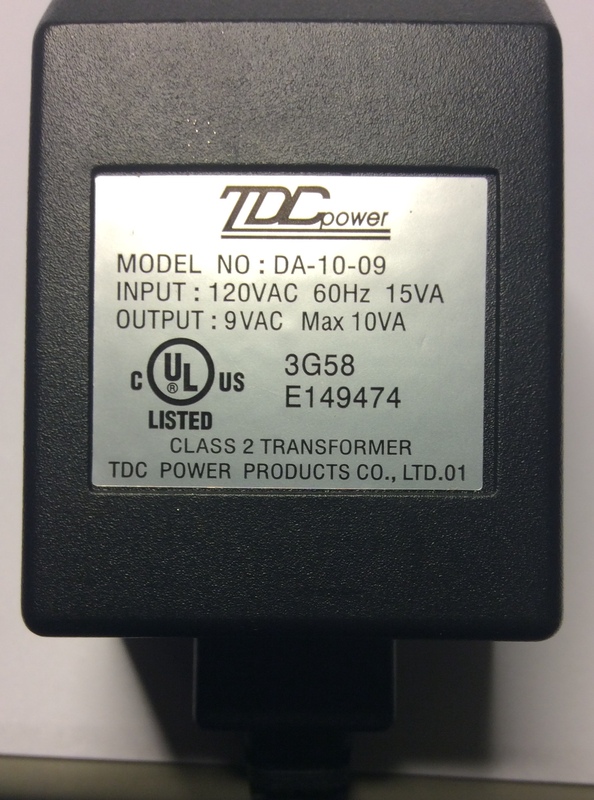 There are two different voltage transformers available with the model designation TDC DA-10-09. These models are quite different and need to be properly configured. Again, if you are using one of the standard voltage transformers from the tables, this step is optional. Repeated random tests on the standard US and Euro transformers yield excellent calibration right out of the box. You will need a halfway decent voltage reference for this step. If you don’t have a decent true RMS voltmeter and can’t borrow one, go out and get a Kill-a-Watt. They cost less than $20 (some libraries lend them out) and I’ve found their voltage readings are usually accurate. Follow the instructions on the page. 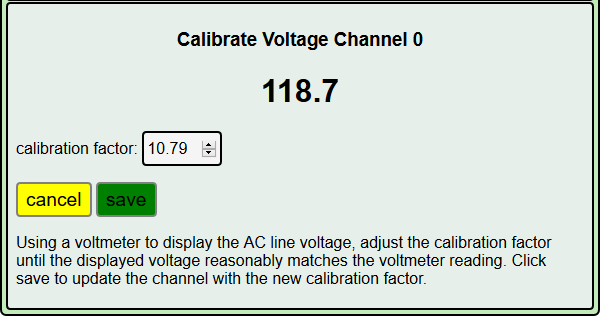 Increase or decrease the “cal” factor until the voltage shown settles down and is a pretty good match with your reference meter. It’s not possible to match exactly. 0.2V in a 120V installation is 0.2% variation. A good meter accuracy is 1% at best. Just try to get the two to dwell around the same set of fractional digits. Wait a few seconds then check that the voltage displayed is still in the ball park. If not, repeat the calibration procedure. 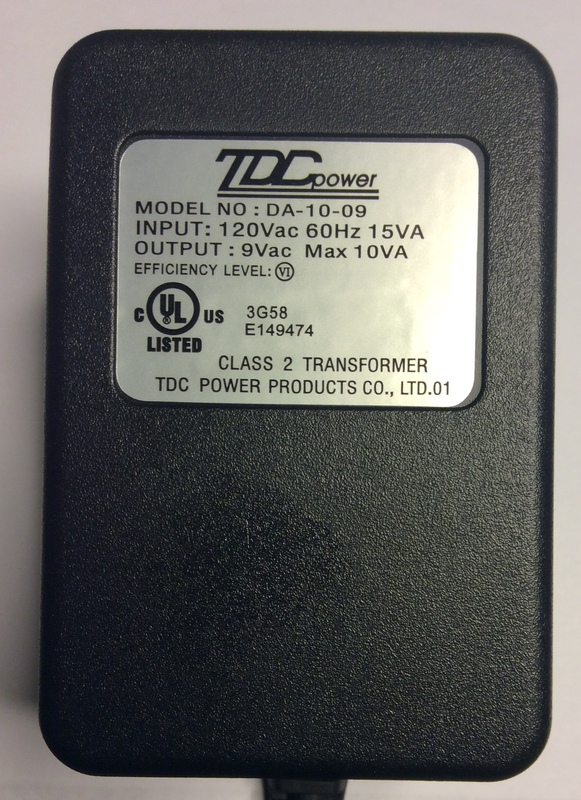 Once calibration is complete and verified, you will not need to do it again unless you change your VT transformer. 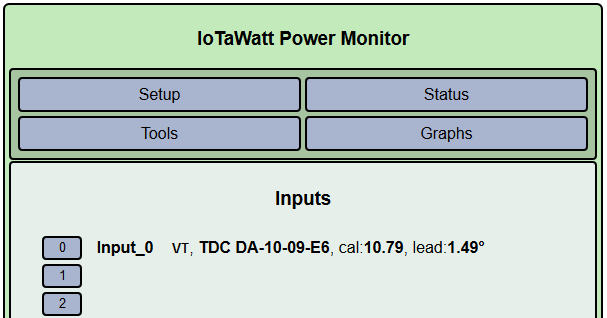 The IoTaWatt has a very accurate internal calibration reference and will maintain its accuracy indefinitely. You should have no further need for the voltmeter.